GreyWing consists of Lindsay Vickery (clarinet and electronics), Catherine Ashley (harp) and Jameson Feakes (electronic guitar), together with guests. For Lines of Flight, this was flautist Kirsten Smith. The group has released two albums of nine tracks with Tone List. The composers featured on Nature Forms I use field recordings of non-urban environments as a guide for the composition of scores to be performed alongside sampled and processed material. Lines of Flight includes works composed using digitally synchronised, abstract and/or variable scores (in which Vickery specialises). These collections were launched in a pair of concerts intended to be outdoors. Nature Forms was relocated due to inclement weather, but Lines of Flight was performed by the banks of the Swan River, on the veranda of the National Trust property of Gallop House. The LOF concert opened with a lovely set of sound fields juxtaposed against each other by composer Sam Gilles. The piece, entitled “Snowden (Eyes on the Sky)”, begins with a collection of discrete musical gestures sequentially given by each of the players, before these become dense blocks which the composition jumps between. Although performed live, the piece feels as if it was composed as a montage of tape loops, as with classic musique concrète. While the logic behind Gilles connecting his composition to the Snowden leaks is unclear, the piece has a satisfyingly ambiguous feeling of being both processed yet acoustic. Ashley’s own composition was also pleasing, despite an unclear compositional rationale. Ashley has mapped statistical data of violence against women to produce a surprisingly beautiful and delicate sound world, led by her extended technique on the harp. She crafts a magical, almost subterranean, ambience into which the other, rather more jarring, instruments cut. As with Gilles’ “Snowden”, audiences would not have even listened for links to this content without a statement from the artist. This is an example of what Mitchell Whitelaw calls “abject data” — numbers and graphs translated into wildly unlikely outputs, irrespective of how appalling (or wonderful) the information it once represented. This makes for intriguing musical experiments. Vickery offered a more open composition, shifting across a sparse sound world with quiet materials. The piece was produced by transcribing into notes an earlier improvisation around the small accumulation of feedback produced by microphones within a clarinet. Perhaps because of this, the composition feels rather directionless, but nevertheless stimulating. Eduardo Cossio’s Ghost was probably my favourite. Beginning with a quiet, slow build, the piece incorporates small, almost whispered yet at times spiky contributions from each instrument (the crinkling effect of plucked guitar was particularly lovely). Less rhythmically sequential than Gilles’ composition, the dynamic here is one of gradual accumulations leading to plateau, before the clarinet and flute leap to the fore in a series of energetic movements up and down the scales, while the guitar contributes a textured fill. The evening closed with one of Cat Hope’s signature noise and drone pieces, here distinguished by GreyWing’s unusual instrumentation. Structurally the piece is dominated by discontinuous blocks that shift slightly, but mostly just come in and out. The piece has great potential, but unfortunately the bass guitar was pre-recorded, lacking the power and dynamism Hope manifests live. LOF and Nature Forms are great releases. Vickery did note, however, that there may have been something of a lack of quality control in issuing so much music. Though the compositions are fascinating, they are not always fully resolved — which is perhaps the point. Moreover these are all very much concert works in which the silences between carefully calculated interventions, are part of a deep listening experience. It is certainly pleasant to attend such a concert in a location with a lovely view over the river, but the furiously croaking frogs at the start, aeroplanes, and the sound of loud popular music being played to an appreciative crowd across the water, did little to showcase the delicate sonic crafting at work. Tone List’s Josten Myburgh tends to see music as much in social, as sonic, terms, and judged in this way, the gig was great fun. But you will need to download the compositions and listen to them on a serious sound system at home to fully appreciate them. Listen/purchase ‘Lines of Flight’ here. Pictured top: GreyWing Ensemble launching Lines of Flight at Gallop House. Dr Jonathan W. Marshall is the postgraduate coordinator and a lecturer at the Western Australian Academy of Performing Arts, Edith Cowan University. Jonathan has been an arts critic since 1992, writing for RealTime Australia, The Big Issue, The Age, Theatreview NZ, Melbourne street press, as well as appearing on radio. His interests range across theatre, dance, photomedia, performance art and post-classical musics. Jonathan grew up close to the Yarra River, where one can still find a long metal slide set into the side of a slope amongst which nestle small caves, and to which he returns often. 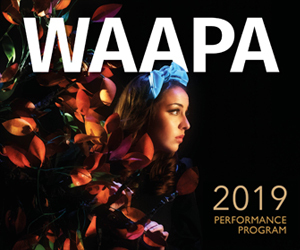 Disclaimer: Jonathan W. Marshall and Lindsay Vickery are both employed by the Western Australian Academy of Performing Arts @ Edith Cowan University.